Have you seen the latest jewel trend that is exploding on the fashion scene? No it's not the latest designer watch or chunky statement piece. It is temporary tattoos. 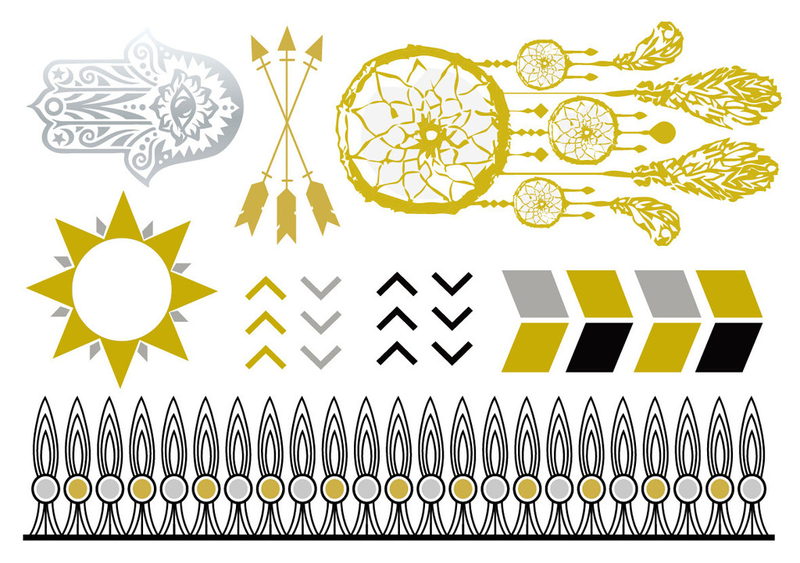 Yes, you heard me right....temporary tattoos. At first I wasn't quite sure what to think of them but after seeing them on, I fell in love. This metallic looking body decor is sleek, chic, and unique! Take a look for yourself. Now that we are all friends here, I'm going to let you in on a little secret. just go HERE to grab any style that you like. 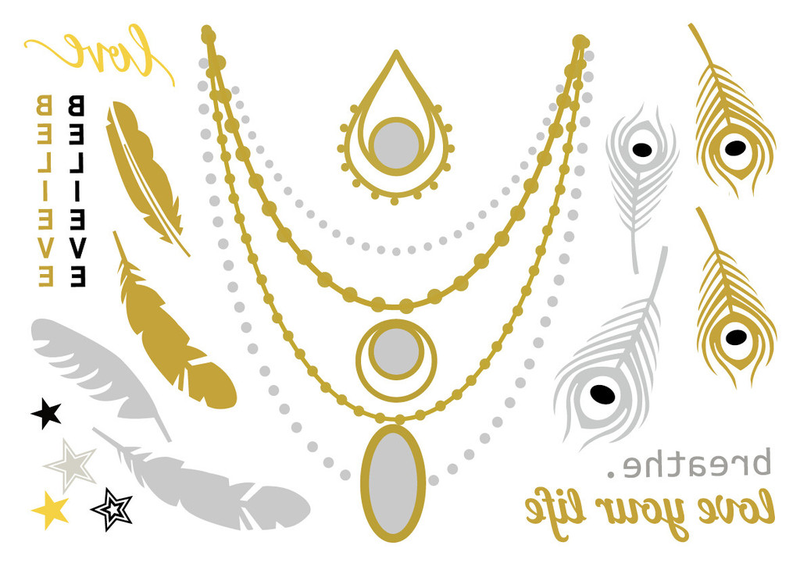 From feathers and dream catchers, to chains and geometric shapes, there is something for everyone to love (did I mention that they are budget friendly too?) They are non-toxic, easy to apply, sweat and water proof, and can last up to 5-7 days! Want to take it off sooner, just dab a little rubbing alcohol on the tat and wash it away. Even Beyonce is rockin the look! What do you think? Does this accessory get a thumbs up or a thumbs down from you? These are so fun - I've been seeing them a lot lately and that's one tattoo trend I could actually handle LOL - fear of pain over here! how interesting! not sure i would take part in this trend, but they look super cute! It's def a different approach to accessorizing! I could get behind one since it's temporary. Very cute! a huge trend from summer that is not slowing down!